Since Jamal Khashoggi’s murder in October, foreigners have dumped Riyadh-listed assets. Donald Trump’s indifference to the crown prince’s alleged role in the killing offers some reprieve. But the kingdom’s stability and long-term economic progress have been permanently impaired. U.S. President Donald Trump shakes hands with Saudi Arabia's Crown Prince Mohammed bin Salman in the Oval Office at the White House in Washington, U.S. March 20, 2018. 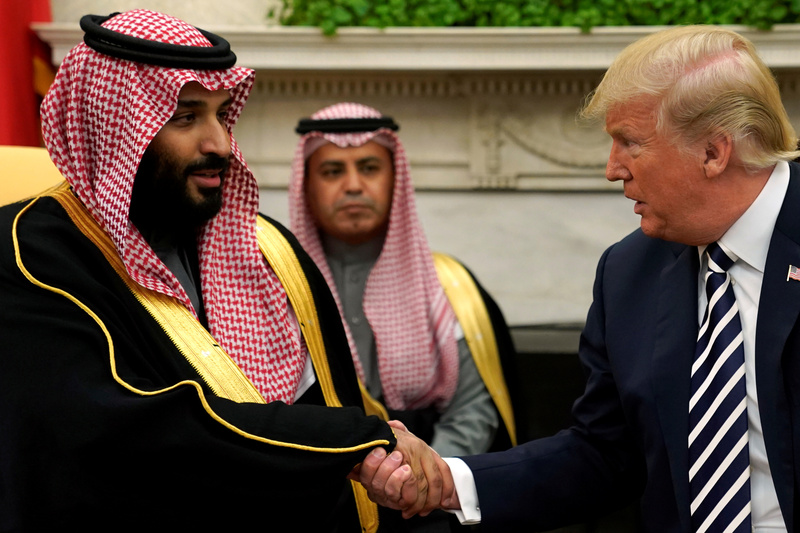 President Donald Trump vowed to remain a “steadfast partner” of Saudi Arabia despite saying that Saudi Crown Prince Mohammed bin Salman may have known about the plan to murder dissident journalist Jamal Khashoggi last month, Reuters reported on Nov. 20. Trump said of the possibility that the Saudi crown prince had a hand in the murder: “Maybe he did, maybe he didn’t”, and argued that the CIA had not made a definitive determination. The CIA believes Saudi Crown Prince Mohammed bin Salman ordered the killing of journalist Jamal Khashoggi in Istanbul, sources familiar with the matter said in a Reuters article published on Nov. 17. Amid international uproar over the killing, some members of Saudi Arabia’s ruling family are agitating to prevent the crown prince from becoming king, three sources close to the royal court said in a Reuters article published on Nov. 19.